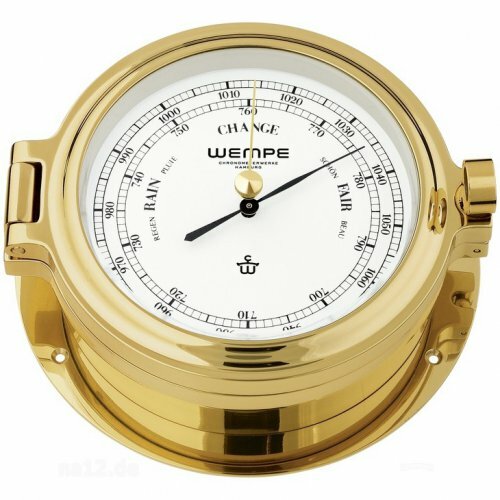 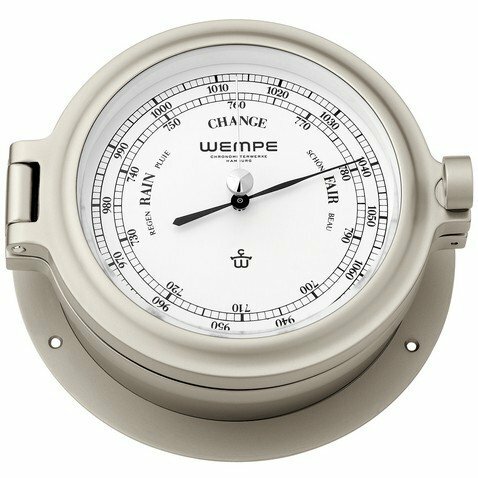 When looking for a precise nautical instrument to measure atmospheric pressure at sea there is no way around the WEMPE barometers. 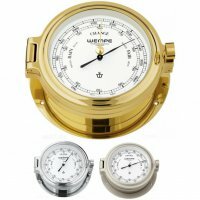 The CUP barometer is 140mm in diameter and available in three types: the enclosure is either high-gloss polished colourlessly lacquered brass, chrome plated, or matt nickel plated. Either way, barometers of the traditional manufacturer WEMPE are a decorative accessory for offices and private rooms. 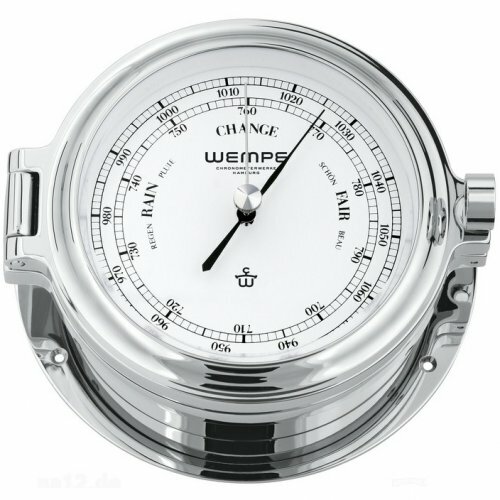 All WEMPE barometers of the CUP Series have a white clock face of 100mm and show the atmospheric pressure in hPa/mmHg.